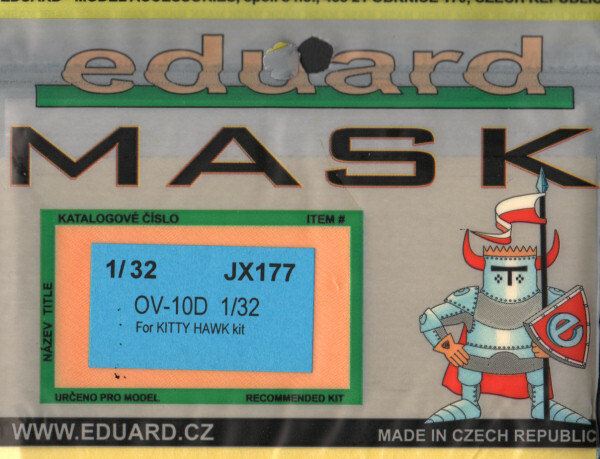 In addition to the nice photo-etch and resin detail sets produced by Eduard, we also have these masks made from die-cut Kabuki yellow tape material which provide canopy outline masks and wheel hub masks. The surround masks address the edges of the canopy segments and the remaining open areas must be filled in with liquid mask. While this sounds like a hassle, it is even more difficult to create masks that will conform to different contours without even more hassles. This approach is quick and painless. This is another nice enhancement that will make painting the Kitty Hawk kit quick and easy. Using this set with the other releases from Eduard will raise the level of detail in this kit to a higher level. I've been waiting tackle the Kitty Hawk kit but I didn't want to start without these sets!